"Driving while Texting, Six Times More Dangerous than Driving while Drunk." Texting while driving is a always bad idea. But we live in a generation where it’s become socially acceptable to text in your car at a red light. 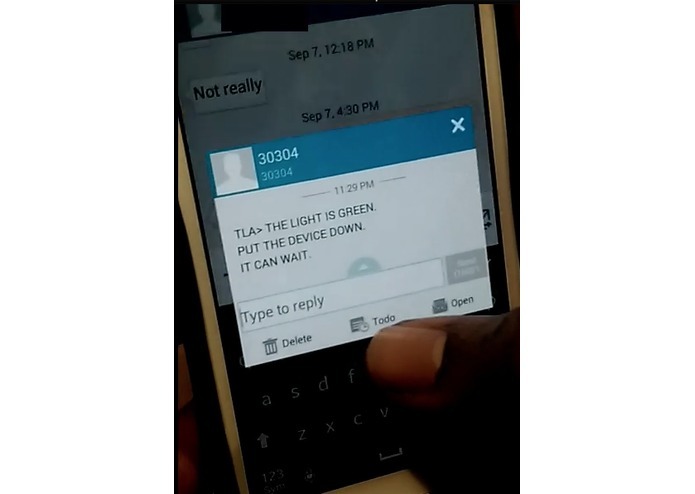 Studies have shown that people tend to text most when at a red light because they perceive it as safe. But this is a very bad habit for two reasons. (1) A driver texting at a red light is still a distracted driver. Drivers tend to linger on their phones even after the light has turned green which means they’re not fully focused on driving. And (2) texting at a red light acts as a “gateway drug” to full-on texting while driving because drivers get all too comfortable with the idea of texting while operating a vehicle. 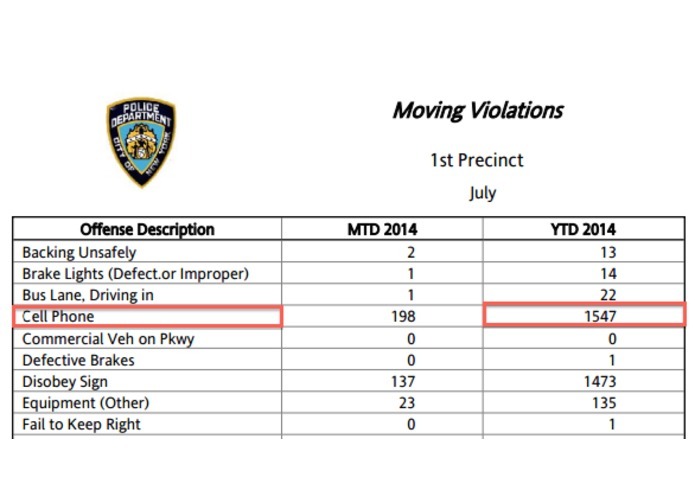 According to the NYPD collision data report, cellphone and texting related crashes totaled more than 1545 violations YTD and accounted for more than 22% (the highest percentage) of all violations for 2014 YTD. And while exact fatalities attributed to texting while driving are uncertain, the NYPD created the category “driver inattention” and cited it as the cause of about a third of all crashes. Currently in the U.S., there have been an estimated 711,137 crashes involving drivers using cell phones and texting. But what if we had a smarter traffic light. One that could help distracted drivers texting at a red light to put down their phones once the light turned green. What if it could tell you when it’s time to get off your phone and DRIVE! Drivers would be more aware on the road and it would lead to less and less drivers lingering on their phones to “finish a text,” meaning less chances for drivers to cause accidents. Using a cellphone detector like this and Bluetooth LE, the smart traffic light is able to recognize currently active devices within a 15 feet radius of it (closer to the front) and shoot out a notification to those devices saying: "THE LIGHT IS GREEN. PUT THE DEVICE DOWN. IT CAN WAIT." The driver would then know to turn off their phone and focus on driving. Using an Arduino microprocessor, a wifi shield, some LEDs, and AWS SNS I was able to build a prototype of this very idea. 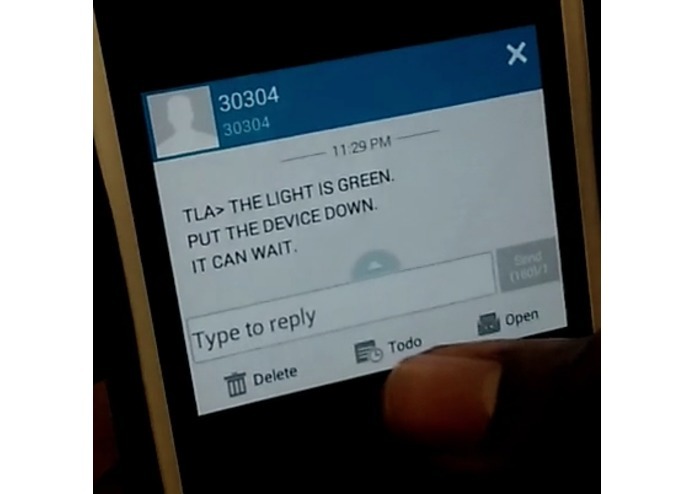 As the light changes from RED to GREEN, the Arduino program sends out an alert to phones currently in-use, connected to the AWS SNS service, saying: "THE LIGHT IS GREEN. PUT THE DEVICE DOWN. IT CAN WAIT." Please watch the video to see how it all works.